I was excited to be given the opportunity to try out and review the new Boost Protein balls. 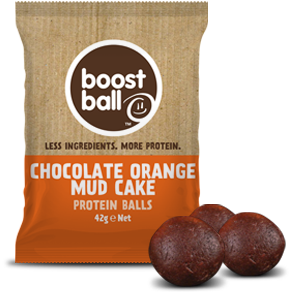 The Boost balls are made from 7 natural ingredients, high in protein and are available in 6 amazing flavours. Raw Chocolate Brownie, Peanut Butter Cookie Dough, Coconut Fudge Cake, Chocolate Orange Mud Cake, Mint Choc Chip, and Maple and Cinnamon Roll. 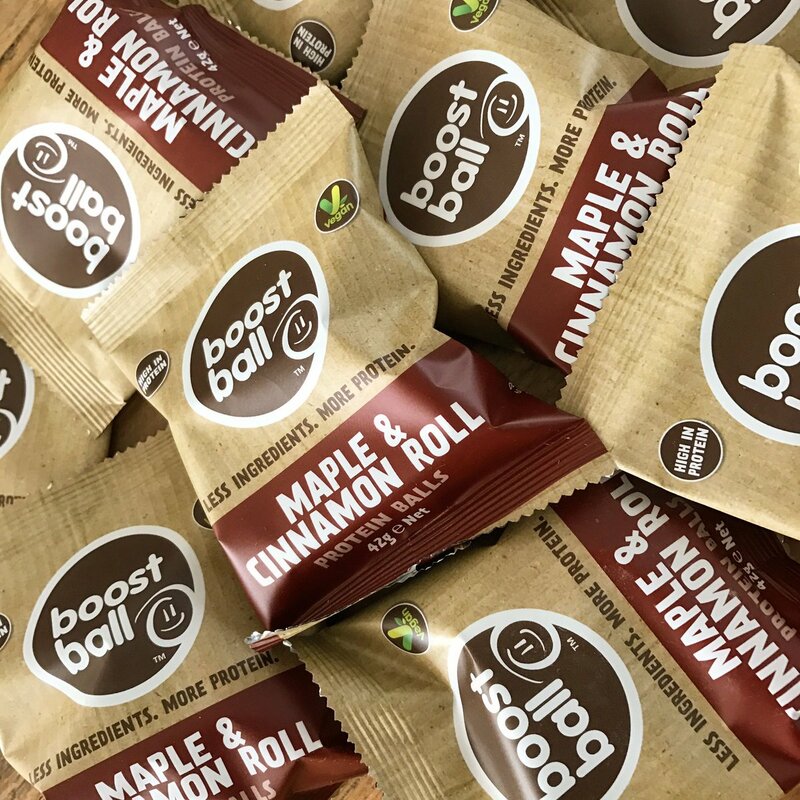 Boost describe the balls as a perfect nutritious snack, after workout protein replenishment or as an energy booster during exercise. The balls also contain a rich source and wide variety of vitamins and minerals such as Vitamin A, B, E, B12, Calcium, Iron and Zinc. 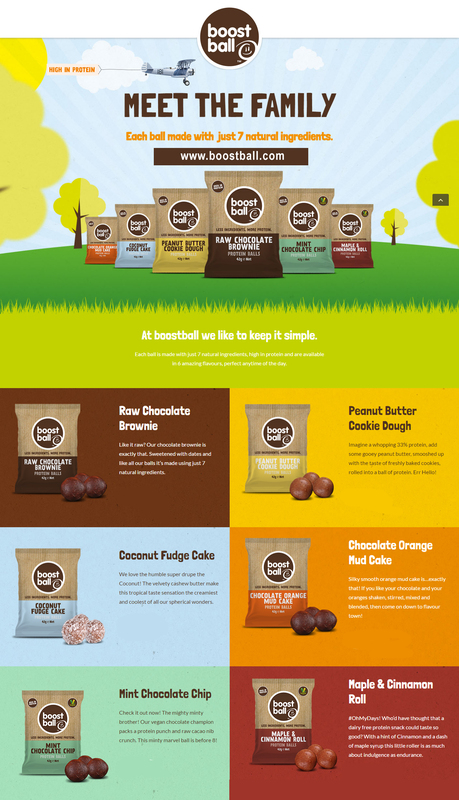 The perfectly round balls are made with raw cold pressed ingredients so there is no baking and no refining. 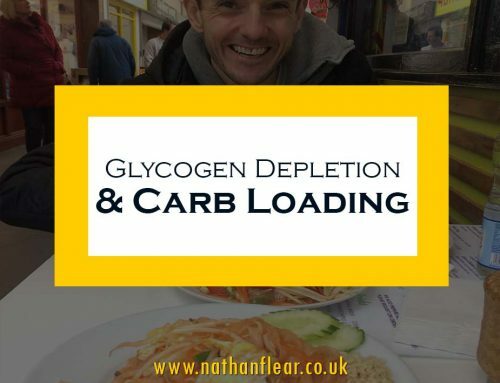 This sounded perfect to me, with my training consisting of over 100 miles each week and my vegetarian diet, protein is definitely something that I am conscious about getting enough of, protein is the building blocks for muscle growth and recovery, and if my protein consumption can double up with a sweet treat then I’m all for it! The beauty for me in these balls is that they also only contain natural occurring sugars found in fruits and plants. So, as far as nutritious wise they seemed to be ticking all the boxes for me, but what about the taste, this is where I find a lot of these healthy/energy snack products fall short, well here goes my honest review! Oh my word, I wasn’t expecting that. These could be dangerously addictive, they taste just like something you’d find in a cake shop. It took me less than 90 seconds to eat all 3 balls, so tasty, I just wish I’d been sent more as they would have gone great with a cup of tea instead of being scoffed down after a run, either way though very impressed. Maybe I should have waited until the following day to try these but I was so impressed with the taste of the chocolate Brownie balls I ripped open the packet 5 minutes after finishing the others. This time though I made a cup of tea to have with them. If you like Terry’s chocolate orange you’ll love these, if you’re not keen on a chocolate and orange mix then you won’t. It just so happens I love Terrys and I loved these. I waited until the next day for these ones although I’d have happily started on them after the other two flavours. 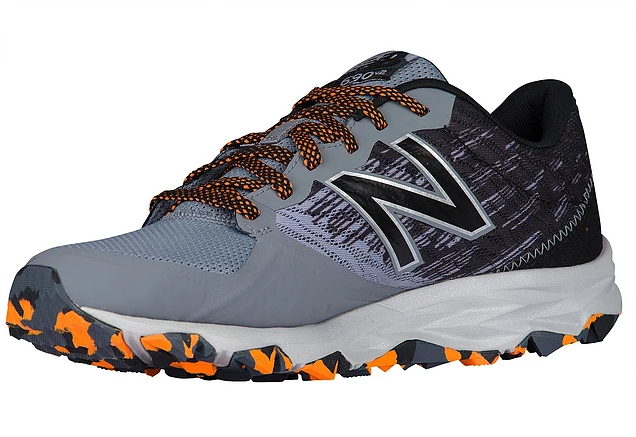 These were a little moister than the other two but it worked perfectly especially as I had them after a 22 mile run, not much tastes great after a long run but these did, I loved them..
Hmmm, I noticed it was dairy free. I’ve considered the vegan diet a few times and have tried quite a lot of dairy free snacks but nothing I’ve tried seems to do it for me. It’s safe to say I wasn’t expecting much from this one. But I love cinnamon and they’d done it again! What an amazing taste, ok there’s quite a bit of maple syrup in there and the sugar content is quite high, but again they are natural sugars so I can let it slide J On the whole, not my favourite one but another great tasting snack. I’ve saved the best until last – Probably the nicest tasting snack I’ve tasted, ever! This for me is the best of a great bunch. The calories are a little high for what I’d normally eat but I don’t care, they are good calories! All the other flavours were great but this one just tops it for me, I love peanut butter and I love Ben & Jerrys Cookie dough Ice cream (I know, terrible guilty pleasure) so these balls are like a mix of them both but without the sugar! So Boost Ball, if you’re looking for an international athlete to help promote your balls for the occasional free package to help with my recovery then look no further 😉 I loved them!! 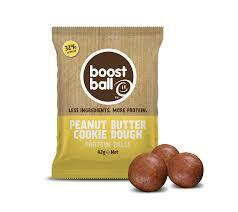 You can get the balls direct online at www.boostball.com and you can find all the nutritional info here too.